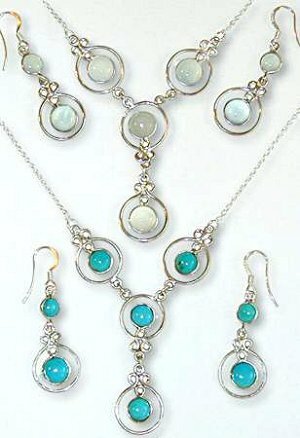 Halo necklace to match with earrings, E502 (earrings are sold separately). 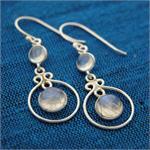 Round stones are wrapped in a wire halo of silver for accent. Handmade in India. Wholesale sterling silver jewelry. Wholesale cabochon stone and silver earring.